You will have a vibrant glow during your third trimester that may not have been apparent during your first trimester. Your body was getting used to hormonal changes during your first trimester and you may have experienced pale skin and an overall sickly appearance. You will carry a different aura during your third trimester because the life inside of you will illuminate you. You will probably receive many compliments about your amazing glow. You will feel many movements from your baby during the last trimester of your pregnancy. What was once a faint and intermittent muttering will become strong and frequent kicking. You will experience great joy when your baby moves. However, he or she will slow down in activity shortly before you go into labor. You should not fret because a decrease in activity is normal. Your hormones will balance more, which will cause your mood to improve. You will feel happier and more energetic in your third trimester than you were in your first trimester. Additionally, the morning sickness that you had in your first trimester may subside. Some hormonal changes will cause you to urinate more frequently. You may get the urge to urinate more because of the pressure on your bladder as well. Take such things in stride because you know by your pregnancy calendar that it will be over soon. You will become more dependent on other people as your baby grows inside of you. You may notice that your back aches and you need to take frequent breaks at work. You may have to ask your spouse to help you with grocery shopping, driving, lifting and several other tasks. You will need to rest during this period because labor will consist of hard work. You may experience trouble sleeping. You may have trouble sleeping because of strange dreams and you may have trouble sleeping because of heartburn. Many pregnant women experience heartburn because of the pressure that the baby’s head places on the internal organs. The stomach shifts from its position because of the uterus and you may feel the effects of the shifting. A cup of warm milk with honey, an extended walk or certain relaxation techniques can provide for a better sleep. You should also avoid heavy meals before going to bed. The third trimester will bring forth frequent doctor’s visits. You will start visiting twice per month instead of once per month. Eventually, your specialist will have you visit his or her office once per week. The doctor will want to examine your cervix to monitor its changes. You will know that the date on the pregnancy calendars is approaching when you start seeing your specialists once every week. You will know that your precious baby is coming soon. You will experience increased abdominal pressure because of the weight of the baby and his or her nourishment. After you deliver your child, you will feel so much lighter. As your baby grows, he or she will need additional nourishments to keep growing. Therefore, you will often experience cravings for foods that will help the baby to grow. You may have a sudden urge for fruits or a late night desire for ice cream. You will want to listen to any cravings that are normal. The pressure of the baby may cause you to experience shortness of breath. You will want to take your time performing any activities during this time. Take it slow and do not over exert yourself. Your stomach will reach its full capacity during the third trimester. Everyone will know that the beautiful life inside of you is ready to emerge. You will want to take this time to speak to your baby and let him or her know that you are happy about the impending birth. 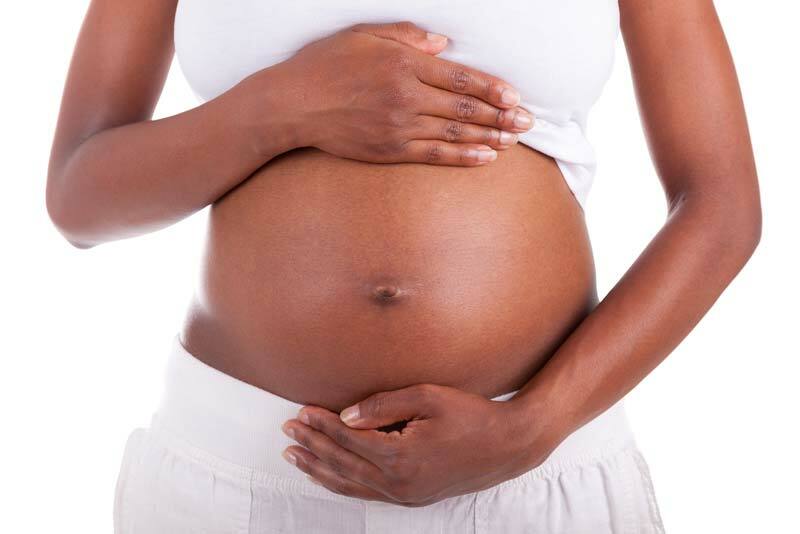 You can apply cocoa butter and healthy oils to your skin to protect yourself from stretch marks. The baby will enjoy the massages that you give him or her during this time, as well. Be happy while the end of your journey approaches, as it will be the start of a journey for your little one.